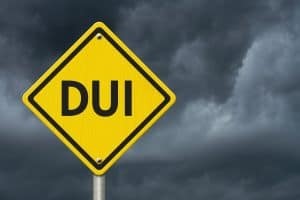 In Tennessee, if you arrested for driving under the influence of alcohol, the Tennessee Department of Safety (DOS) will normally seek to suspend your license. There are two basic reasons the DOS will seek to suspend your license through an administrative process. The first is due to being charged with a DUI. The second is – if you fail to submit to a request to take a chemical test to determine your blood alcohol level. In both situations, it is essential to speak with an experienced DUI defense lawyer. You have limited time to contest the suspension or revocation of your driving privileges. The police officer who arrests you should not take your license. Instead, the arrest starts the clock running on how and when you can assert your defenses. A suspension of your license automatically begins within 10 days of your arrest – not the date of your conviction. You have ten business days to request an administrative hearing to contest the automatic license suspension. If you don’t request a hearing, then your license is suspended until the charges are dismissed or there is an acquittal. All Tennessee drivers give their implied consent to submit to a blood or breath test when they are charged with a DUI. You do not have to give the officer a sample of your blood or breath. However, if you refuse, the DoS will seek to suspend your license due to the refusal. Even if the DUI charges are dismissed, you can lose your license because you refused a valid chemical test request. The time limit to contest a license suspension for refusing a chemical test is different than it is for the DUI charge. Defendants normally have 20 days from the date they are sent a notice of suspension to contest the license suspension based on a refusal. If the contest is not filed in time, your license is automatically suspended. The length of a license suspension for a DUI charge is one year for a first offense, two years for a second offense, and six years for a third offense. The time your license is suspended for implied consent refusals is one year for a first offense, two years for a second refusal, two years if someone was injured in a DUI accident, and five years if someone died due to a DUI accident. Drivers whose license is suspended due to a DUI charge but not a refusal to submit to a chemical test can request a restricted driver’s license – after the conviction. This license allows the driver to drive to and from school or to and from work. Second-time offenders need to wait a year before being allowed to request a restricted driver’s license. Drivers with a restricted driver’s license will need to install an interlock ignition device on their vehicles which checks their blood level before the driver can operate the vehicle. Don’t wait. If you need your driver’s license, you should see a skilled criminal defense lawyer. At the Law Offices of Adrian H. Altshuler & Associates, we move quickly to notify the Tennessee DoS that you are challenging an administrative license suspension. We assert all available defenses. Please call our Franklin, Columbia, or Brentwood DUI lawyers at 615.412.1121 or use our contact form to schedule an appointment. We fight for defendants across Tennessee.